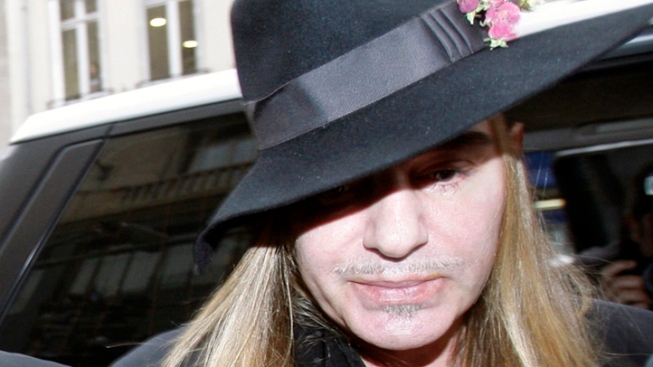 Fallen designer John Galliano faced a packed courtroom and a panel of three judges during a seven-hour trial yesterday, answering to charges of "public insult" brought on by two alleged incidents in October 2010 and February 2011. Coverage of the proceedings spanned the fashion press, with WWD, the Telegraph and even GQ Fashion's Twitter page reporting the news from Paris. In his testimony, Galliano pointed to multiple addictions and stress brought on by an intense workload in the wake of a series of personal tragedies. In response to the video footage of the designer making drunken, anti-semetic slurs at an outdoor cafe in Paris, Galliano told the court: "I see someone who needs help, who’s very vulnerable. It’s the shadow of John Galliano. I see a man who’s been pushed to the edge." According to the Telegraph, two of the three plaintiffs in the case, Geraldine Bloch and Philippe Virgitti, involved in the February 2011 altercation, also spoke, describing a run-in that involved several racist and anti-semitic remarks, and, allegedly death threats made by Galliano. At the same time, WWD reports that Virgitti testified that he sensed Galliano was "not all there". @GQfashion: Witness says she never heard him say "Jewish". Only "Asian". The court is set to deliver its sentence September 8 ("A cliffhanger," Tweeted @GQfashion). Meanwhile, Galliano, who is gay, expressed his life-long commitment to fighting intolerance and concluded with an apology, as reported by WWD: “I can see that this whole affair has caused a lot of upset and sadness. I apologize because that man you see up there is not John Galliano ... I cannot answer for that man because I don’t know him."